Formerly a wealthy farmer and cattle rancher living in the Colombian village of Playa Rica, Aldana found himself caught in police crossfire in 1991, sustaining injuries that left his legs paralyzed. Several years later, civil unrest forced him to flee to the city of Florencia, where he now lives in a disheveled housing project and ekes out a living selling minutes from his cell phone. 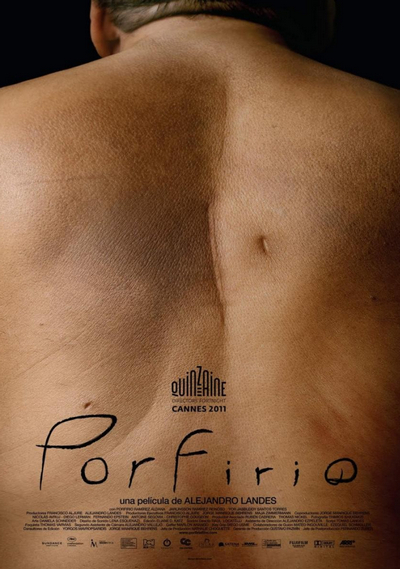 It's here that "Porfirio" introduces its actor-subject, sans backstory, the better to build a slow, minutely detailed portrait of a person for whom even the act of climbing into bed reps a near-Herculean feat. Porfirio exhibits both courage and frustration in his encounters with the constant limitations of his physical freedom. Calls and even a visit to a lawyer supposedly representing him in his claims against the state are fruitless. But he perseveres ... and he makes plans.